Senegal has a huge diversity of languages, there are around 20 recognized local languages. But in what language should the children learn? So far, this is not one of them, but French. 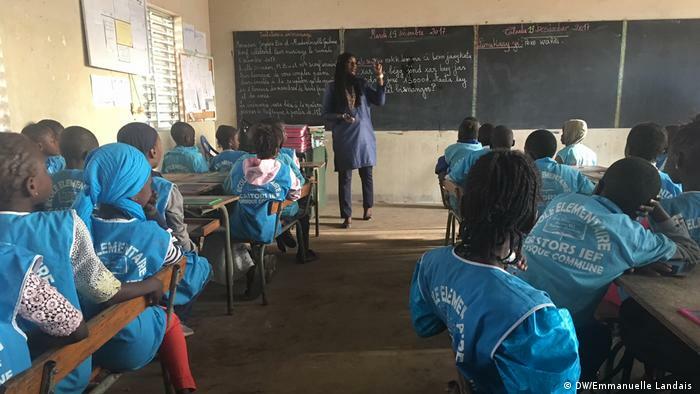 The students in the class, in Senegal, following closely the words of their teacher. “I was scared before the lesson because I understood French well. That is why I have trust me there”, tells the ten-year-old Fatou from Senegal. Her native language is Wolof, the most widespread local language in Senegal. As in many African countries, the school language is not the language spoken by pupils in everyday life. Most teachers will teach languages in former Colonial. In Senegal, the only official state language is still French, although the master only a few Senegalese liquid. According to an estimate by the international organization of La Francophonie, nearly 4.3 million speakers – less than a third of the population. Most Senegalese speak or understand Wolof, as Fatou. DW correspondent Lamine Ba explained that this language was promoted at the national level through the media: “This goes back to the advent of the audio-visual sector in Senegal,” he says. Many Radio and TV stations programs on offer in Wolof. “Wolof was used in this area most of the time, while the country is home to actually talked for about 20 country,” says Ba. Two more languages, Pulaar and Serer, have several million speakers. The languages are only partially limited to certain regions, especially in urban areas, a wide variety of languages will be meeting in the smallest space. For the school system to the next difficulty: Which language should be taught? Wolof as the only language of instruction? The Ba is viewed very critically: “For many Senegalese who do not belong to the Wolof culture that exists today in Senegal is a real danger of the extinction of certain national languages, if nothing is done,” he says. These groups of the population felt the spread of Wolof as a kind of cultural Aggression, as a development of their own cultural identity. The government of Senegal is planning for many years, projects for the promotion of the national languages. However, these plans are pushed again and again, from Ministry to Ministry. Just the education is concerned primarily with the Ministry of the local languages. Also, the American aid organisation USAID works with the Senegalese Ministry of education. In the program “Lecture pour tous” (reading for all) children’s learning in the first three years of schooling in local languages read – only then is taught entirely in French. “We have carried out a few reading tests,” says David Bruns, who works for USAID in Senegal. The result: Many children could not read after the second class. “We have identified as a major Problem. If you can’t read after the second class, it is catch up little more,” says Bruns. Further research showed the reasons of this: The children should learn French to read, although they speak at home a language other. 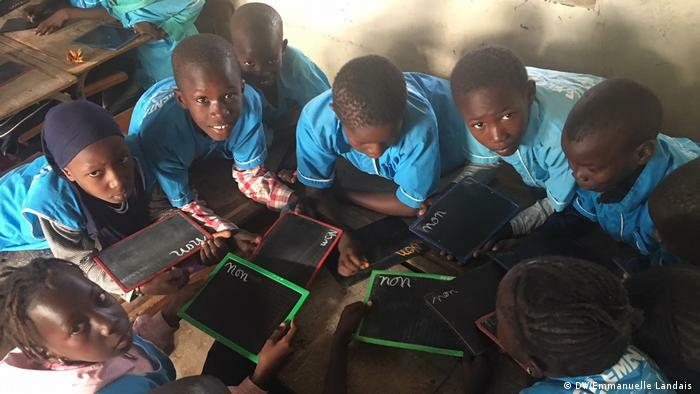 The organization started in cooperation with the Senegalese Ministry to develop teaching materials in local languages and training for teachers. 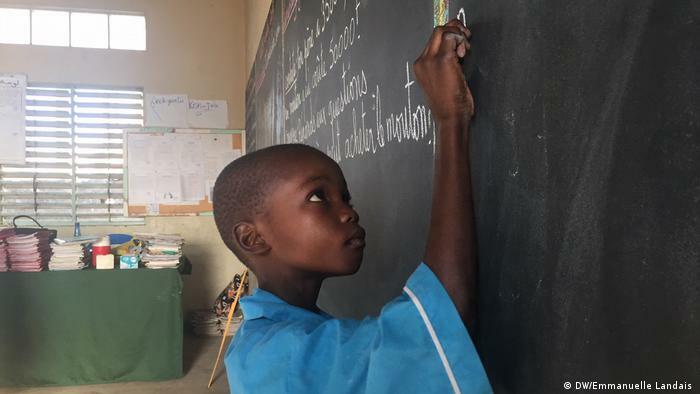 Since this year, already some children are able to learn from six of the 14 regions of Senegal in their local language. “At the moment we reach 4000 schools, which are about half a Million children,” says David Bruns. “Before we started, we have created, so to speak, a language map: We went to the schools and found out which languages are spoken there. And we also wanted to make sure that the teachers of the first and second classes speak those languages,” explains David Bruns. To date, USAID materials in the languages of Wolof, Serer and Pulaar. Next year, it will then give first results about the success of the project. Thereafter, the Ministry will decide whether and how the project should proceed, says Bruns. For the journalist Lamine Ba is clear: If the children read in local languages, can help them later in their professional life. Also, since people were confronted with different languages. “If someone speaks to me, he can use Pulaar or Mandinka, or Wolof,” says Ba. People from different met, however, groups, language Wolof dominate again.